FIGHT FATIGUE: NHVR project director Richard Hancock gets a taste of trucking life in Rod Hannifey’s Truckright truck. THE National Heavy Vehicle Regulator is on track to change the trucking industry from next year. Project director Richard Hancock told Big Rigs last week changes would address some of the concerns that truck drivers had addressed. But there would always be log books, he told us. "I can't envisage we will ever be in an environment where some form of record of driving and rest is not required," he said. "I think we'll always have that and that's going to be backed up by the fatigue science that we have access to." Mr Hancock did say he was looking at making provisions for genuine log book mistakes as the regulator would eventually see uniform penalties in all states and territories. Queensland is set to pass the NHVR legislation in parliament when it resumes after its winter break. Mr Hancock said it would be challenging for the rest of the nation's states and territories to pass the legislation before the January 1, 2013 start date and therefore some aspects of the regulator would not be able to start by that deadline. MAKING advanced fatigue management (AFM) cheaper for businesses will be a feature of the National Heavy Vehicle Regulator. But project director Richard Hancock said complete portability of AFM was not possible, due to "fatigue schemes being specific to operations". 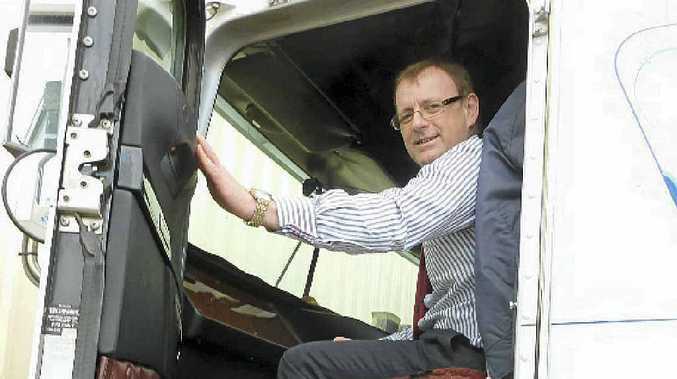 "What we definitely want to try and achieve though is an advanced fatigue management scheme that is easier for businesses to get into," he told Big Rigs. "And we want to cut down the cost of doing that and we want to speed up the approvals process for that. "So again for a driver who is working under an AFM scheme that his operator had got approval for and then going to a business that can't afford to do that currently, we're hoping to really change that." Mr Hancock said there would be an entire work stream at the regulator that was "pretty much dedicated to working on advanced fatigue management" and a "new approach". He also said there would be an opportunity to trial the new system in Queensland in the early part of next year. "We have some more work to do to set that up but I think that's broadly possible," he said. "We've already had some interest from individual operators in Queensland who would like to be a part of the trials, which is encouraging." When it came to log books, the major changes would be the use of electronic work diaries and national penalties. "I think industry is moving down that path," he said. "Drivers one way or the other, either through the electronic work diaries or through the existing manually completed log books are always going to need to complete that for a whole range of reasons. "And we want to try and give good instructions around the work diaries in the future beyond what's available today." He said as a part of the new national approach to penalties there would be leniency for "inadvertent mistakes". "I know drivers worry about getting an infringement for an incorrect work diary, and they can fix their work diary errors anyway, they can appeal their infringement if they want to, and I know that is not always convenient for them," he said. "That's a difficult process, and depending on which state and territory they're in there can be quite high penalties for an error in a log book. "And we're still working on aspects of that - but I have heard this feedback on a number of occasions and it is something that I'm talking to the other states and territories about for just inadvertent mistakes. "I am really conscious of that and for those inadvertent type situations we want to try and address that." It seems the regulator will create a positive compliance culture through education. Another big change will be the way the regulator plans to investigate the role of off road parties. "Drivers often say to me that it seems they're the only ones that get targeted, they're the only ones that get pulled up on the side of the road, they're the only ones that get the infringement, what we want the National Heavy Vehicle Regulator to do is to pay more attention to the scheduler, the consigner the consignee and anybody who plays a role in what that driver is being asked to do when he is out on the road," he said. "We will also have a complaints hotline that will be anonymous for drivers if they wish to report unsafe practices and issues of concern, so we're certainly going to have that as a feature of the regulator when it's commenced operations. "And we've got quite a strong component of the new heavy vehicle national law that deals with chain of responsibility. "And we're out talking now to supply chain associations and others who are not in the truck driving, but they're the ones asking the truck to deliver goods or receive goods." Mr Hancock said individuals should have their say through their associations, but if they could not they were welcome to contact the regulator through their website or directly. "We're quite open to that." "I'd have to say this whole project really is characterised by an enormous amount of work having been done by staff in all of the states and territories. "We work with a very large number of people throughout the road and transport agencies across Australia, so it's been a huge project and a lot of work's being done and they're certainly working as hard as they can to meet the timeframes and we're going to support them as much as we can in all of that." The next task, Mr Hancock said, was getting information out to the industry.